This is a Nurikabe / Tapa Mastermind puzzle. 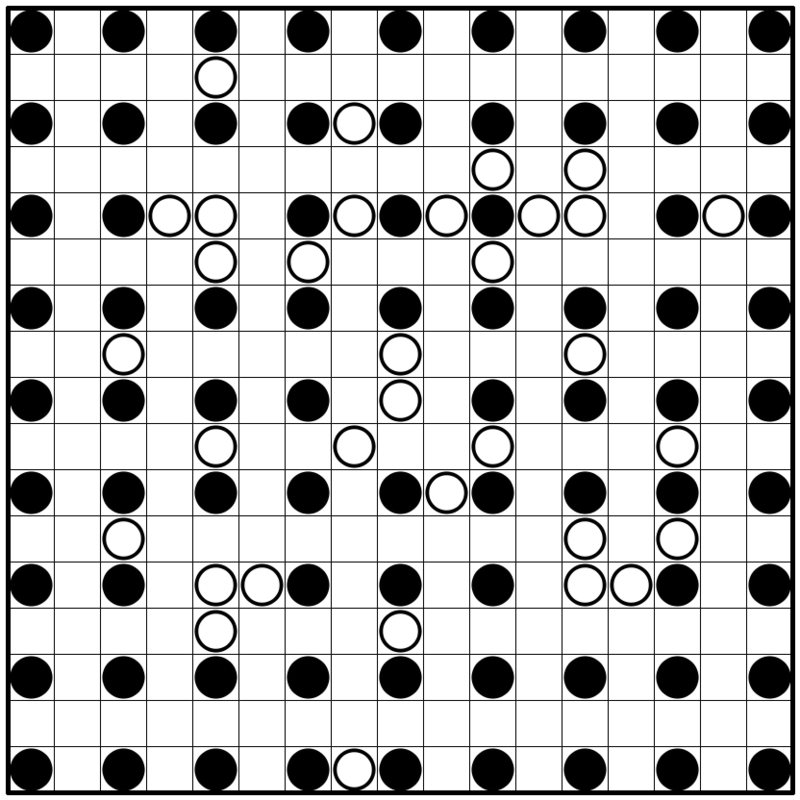 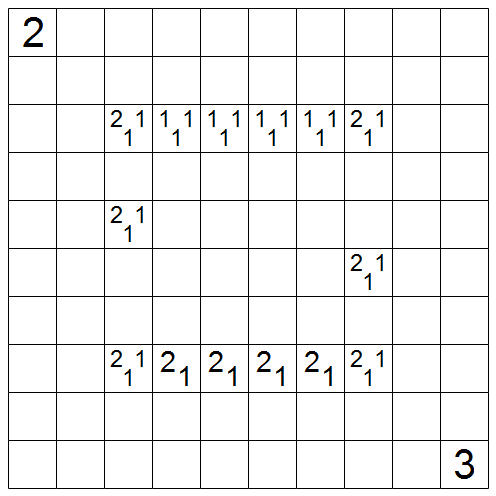 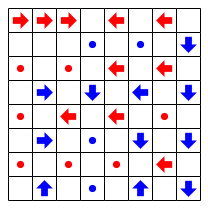 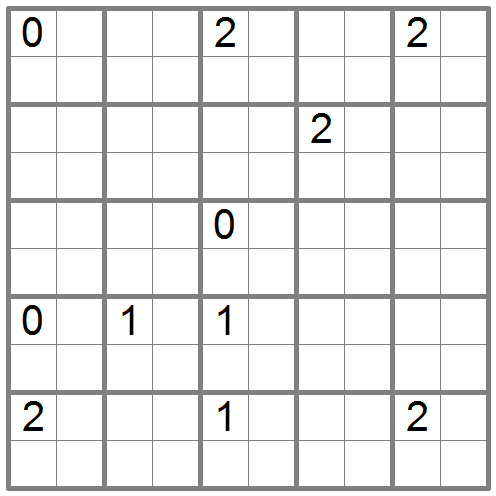 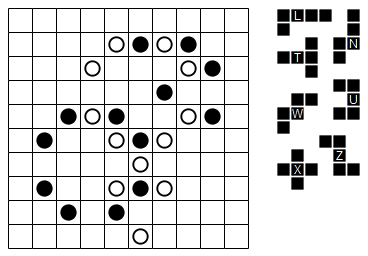 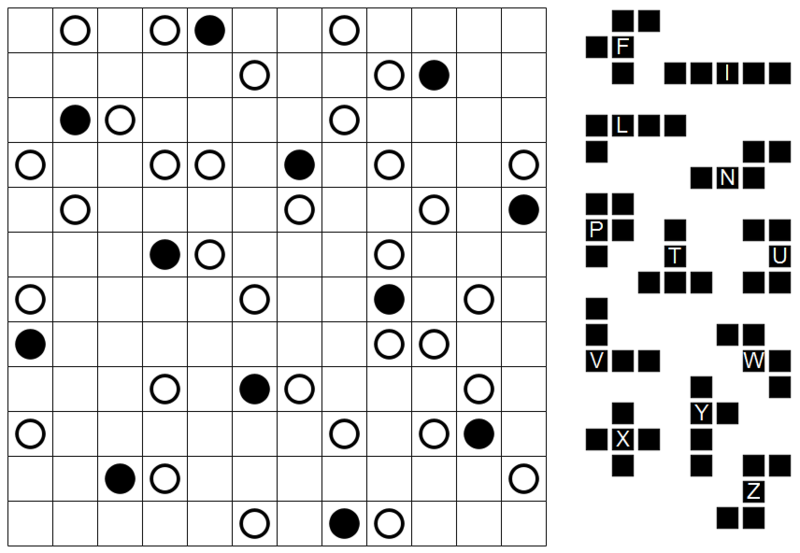 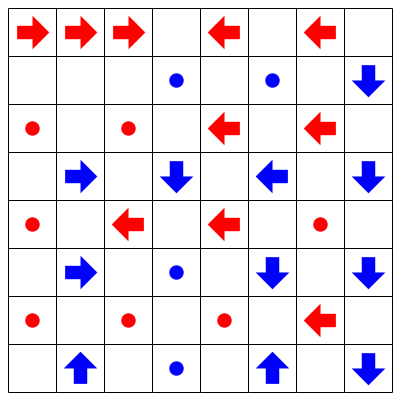 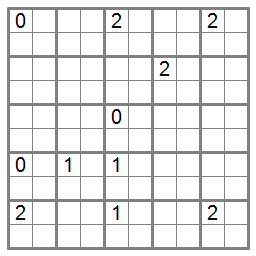 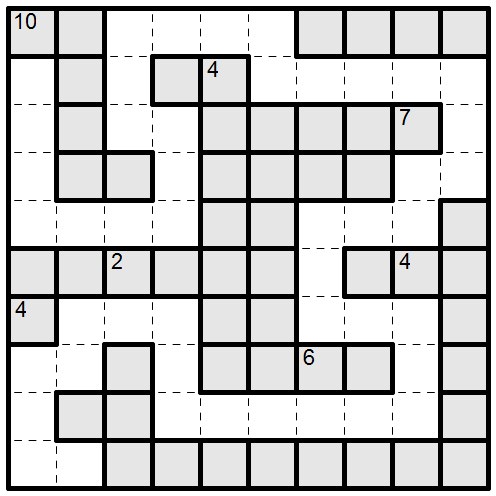 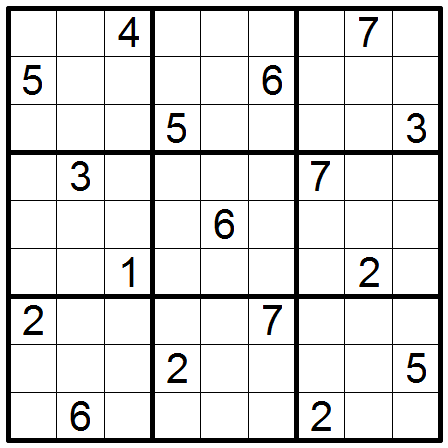 Solve the left grid as a Nurikabe and the right grid as a Tapa. 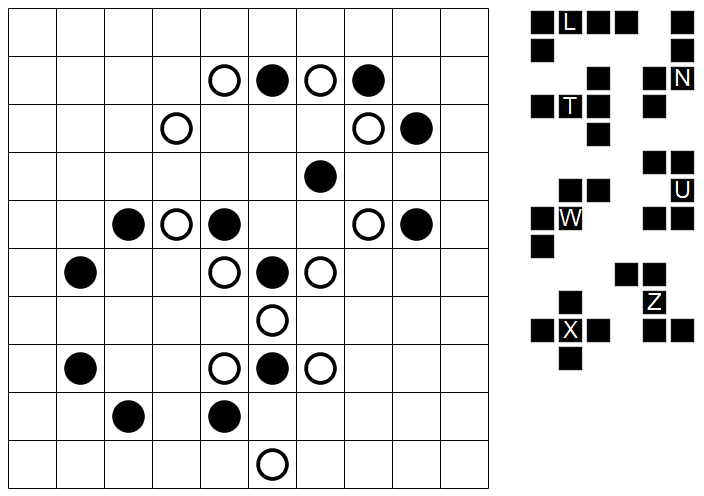 The gray numbers between corresponding rows represent Mastermind clues. 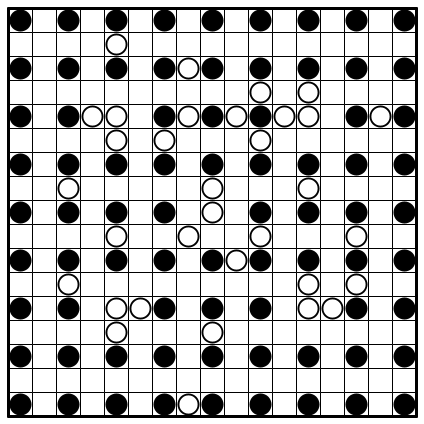 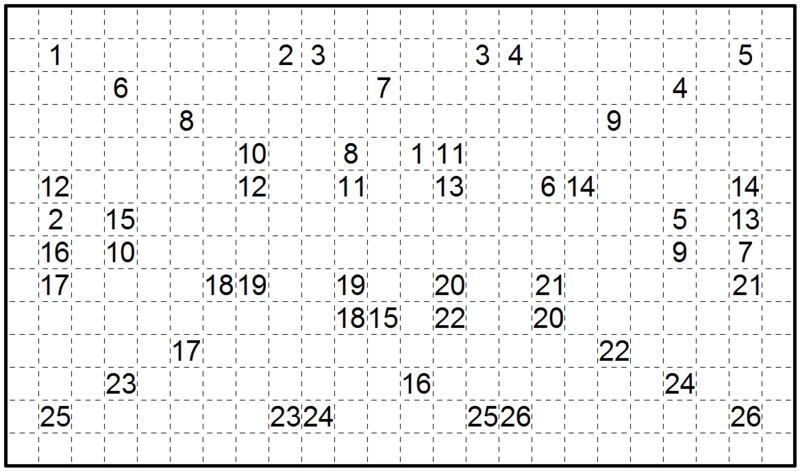 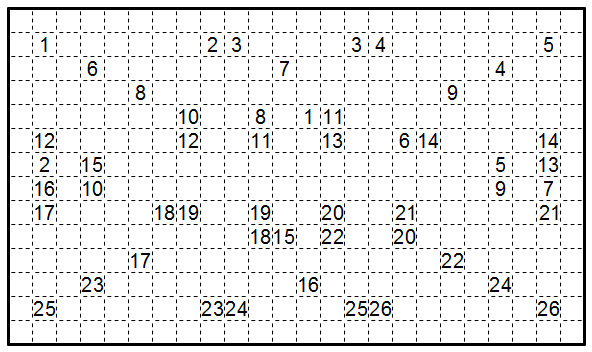 If one were to superimpose the two solutions (without rotation or reflection), the gray number in a row tells exactly how many squares are shaded in both grids. 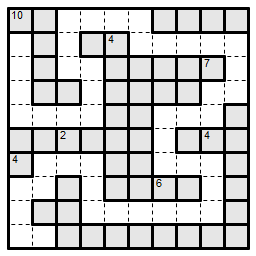 The symmetry and lack of edge clues was as hard to pull off as it looks like, both in constructing and proving uniqueness. 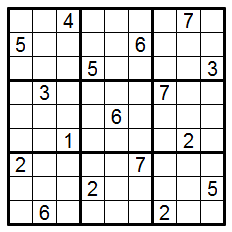 I don’t think the puzzle itself is that difficult though. 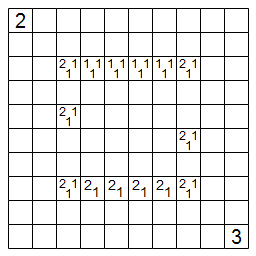 This is a friendly notice that the full set of pentominoes is not used in this puzzle.